This week we asked our readers for their best mosquito solutions. The top recommendation is a Thermacell portable mosquito repeller. The Thermacell has the added benefit of also repelling black flies – another frequent nuisance while truck camping. Guess what’s on our Christmas list! What do you do about mosquitoes when truck camping? “They’re back! It’s worse when inside the camper after you’ve gone to bed. Buzzzzzzz. Like the WWII bomb/fighter decals on the planes (I’m a decal kinda guy), my ceiling has a few skeeter decals pasted on it. 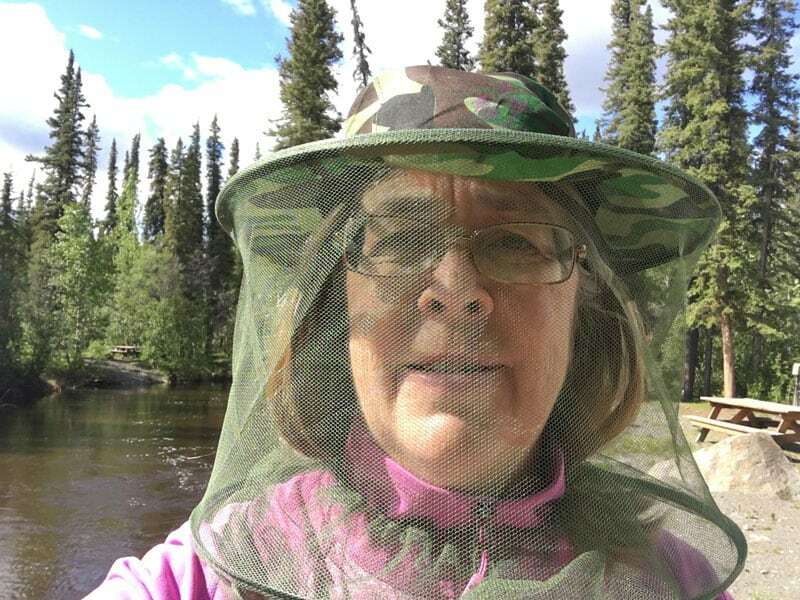 “While camping at Lake Meziadin in British Columbia, we discovered that mosquitoes are much better at finding their way in to our camper than we gave them credit. Unfortunately for us, the manufacturer left gaps in the rubber trim around our slide tracks on the side slide. That’s where the mosquitoes kindly showed us as their entry point. To combat that problem, we took some foam pipe insulation and wedged it in place when the slide is out. “Since flying insects can enter our truck camper where the vent screen knobs/handle pass through the screen, the vents are closed. My truck camper’s dinette window has a brush between the edge of the sliding glass and screen. “My mosquito and pesky insect eliminator is a simple water bottle hand sprayer with 1/4 inch of Dawn detergent topped it off with water. I set the spray to medium for larger droplets. This works best to knock down mosquitos and anything that flies, plus it kills all ground insects like ants, spiders, etc. I keep many spray bottles in quick to reach handy places like the truck’s cab, outside camper compartments, next to bed, toilet/shower and kitchen.